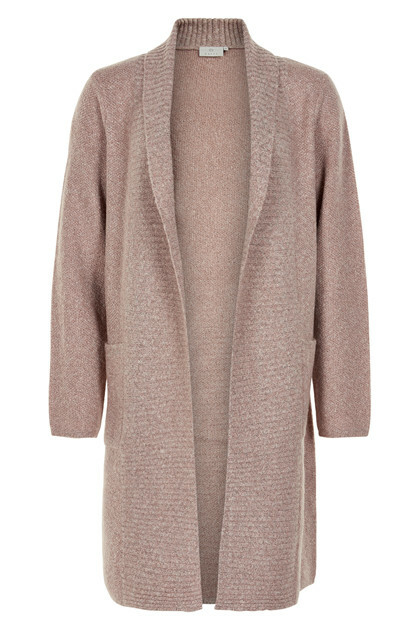 Nice, classic and long cardigan from Kaffe. The cardigan has an open front, long sleeves and front pockets. It has a stylish expression and consists of a nice wool mix. The cardigan is nice thick in quality and comfortable to wear. It is perfect as part of the basic wardrobe. It's casual, in a timeless design and has a regular fit. The cardigan is suitable for everyday and festive occasions, and it can be styled with everything in the closet.